One and done? Dermatologists share their thoughts on single-ingredient moisturizers, from olive oil to Vaseline. We’re now at that point in the winter when there’s really no escaping dry and dehydrated skin. If your go-to moisturizer suddenly isn’t cutting it or you’re on the hunt for a natural, inexpensive skin solution, you may be considering incorporating products like petroleum jelly or coconut oil in their purest forms into your routine. We’ve been having the same thoughts, so we asked two dermatologists to share their expert opinions on popular single-ingredient moisturizers and the pros and cons of applying them straight-up. In addition to its hydrating properties, the oil – it’s best to use organic extra virgin olive oil on the face – is also rich in antioxidants that protect against environmental damage. You won’t find pure hyaluronic acid already stocked in your kitchen or bathroom cabinet, but we have it on the list because it’s a solid option for those looking to use products with minimal ingredient lists. “It’s a great moisturizer as it pulls a lot of water and most people tolerate it very well,” says Susan Bard, MD, another New York City-based board-certified dermatologist. 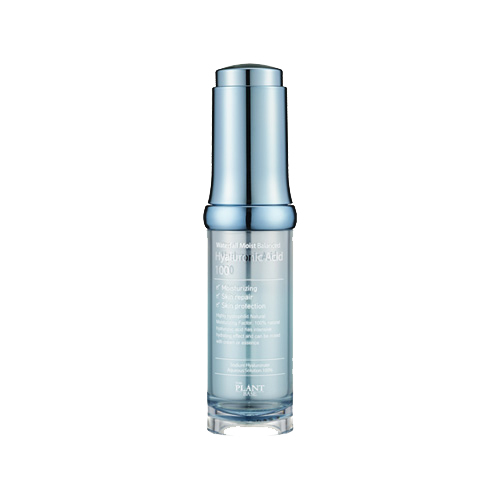 The Plant Base Waterfall Moist Balanced Hyaluronic Acid 100 contains 100% pure sodium hyaluronate, a form of the ingredient that better penetrates skin than others. Since the ingredient is a humectant and pulls moisture from skin to the surface, we always recommend applying an occlusive on top to prevent that moisture from evaporating into the air. “Petrolatum, [or petroleum jelly] is occlusive making it a heavy moisturizer ideal to lock in moisture in very dry skin,” says Dr. Bard. She does note that it’s very sticky so if the texture is an issue for you, a similar, non-sticky option is glycerin. The ingredient also might be too much for oily or combination skin types. Hear about what happened when one writer with a breakout-prone complexion used Vaseline as a moisturizer here. A couple of years ago, coconut oil was considered a miracle, do-it-all ingredient that could be slathered anywhere and everywhere. However, while it still has its place in one’s medicine cabinet as a body lotion or hair mask, it may not be the best facial moisturizing product for everyone. A better facial use for it may be as an oil cleanser to remove makeup and sunscreen. Perhaps one explanation is that they’re very thick. For this reason, his advice is to use shea and cocoa butters to treat dry skin on the body and not the face. If you do want to give either one a try as a facial moisturizer, start with a very small amount of product and apply as the last step in your routine. The products listed above could be miracle dry skin solutions for some, but they could also be recipes for breakouts for others. 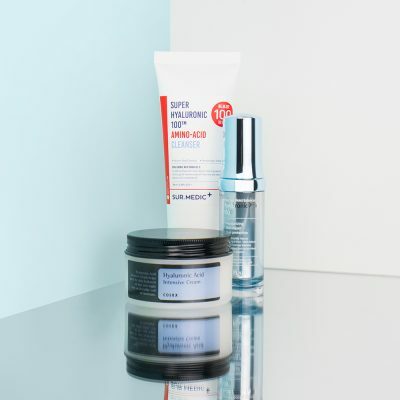 If you’re thinking of incorporating any of them into your routine, patch test and start small to see how your skin reacts before slathering the ingredient all over your face. It’s also important to take the type of moisturizing agent an ingredient is into consideration. For example, petroleum jelly is an occlusive, meaning it sits on top of skin and serves to seal in moisture, but it doesn’t necessarily hydrate beyond the surface, so it’s best to apply an ingredient that’s a humectant (like hyaluronic acid) or an emollient first for best results. +Have you used any of the above as a face moisturizer? Share your experience below! What other ingredients do you have questions about? Dear Soko: How Can I Determine What My Skin Type Is? Dear Soko: What are the Best Body Products to Treat Extremely Dry Skin? Klog Chat: Do You Apply Your Face Oil Before or After Your Moisturizer? Klog Chat: How Do You Rehab Your Skin During the Indulgent Holiday Season? Are Houseplants the Secret to Preventing Dry Skin?